Millennium 7 Publishing Co.: Social Media Luxury Menswear Marketing? 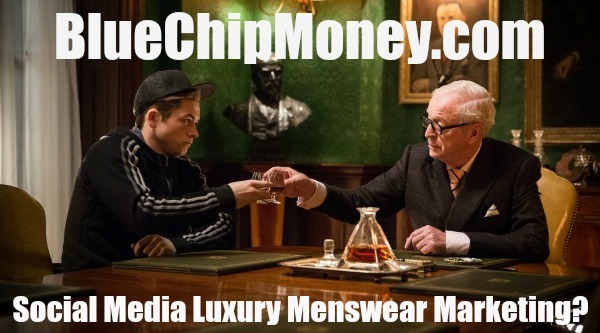 Social Media Luxury Menswear Marketing? Luxury menswear has historically played second fiddle to womenswear, but the industry is showing vast gains that point to cultural shifts in the way men dress and experiment with style..
Menswear is forecasted to grow at a faster rate than womenswear over the next three years, with net gains of 2.3 percent and 2.2 percent respectively, according to data from retail analytics company Edited. Additionally, the menswear market is estimated to be valued at $33 billion by 2020, an increase of 14 percent from 2015. The expansion of the market can largely be attributed to social media’s role in building visibility around men’s style, said Tammy Smulders, global managing director of LuxHub, a division of Havas Media Group. As an increasing number of men’s fashion influencers crop up in social feeds, fashion has become a growing interest for male consumers. At the same time, designers who previously only made women's clothing have started trying their hand at men's collections — including Stella McCartney, who debuted her first men's styles in November 2016. Alexa Tonner, co-founder of influencer network Collectively, said that while fashion magazines tailored for men have long been hailed as arbiters of style, social platforms have allowed male shoppers to discover luxury apparel in new, innovative ways. Apps like Instagram present a more diverse array of perspectives than are accessible in major fashion publications, she said. “While the market is opening up, it’s opening up to the casual side,” Feinberg said at an event last week. Tonner said social media has also helped perpetuate a culture of urgency, which has helped pave the way for luxury casual wear. Whereas suits and evening wear require an often lengthy and expensive tailoring process, high-end casual apparel is easier to obtain quickly without jumping through hoops. Looking to the future, Smulders said examining the progression of the menswear industry in recent years shows the industry will continue to grow. As demand increases, so will investment in advertising and influencer marketing, leading to even greater visibility. Guest Authored By Bethany Biron. Bethany is a Retail and Fashion at Glossy, part of Digiday Media, based in New York. She's an "analog girl living in a digital world with a deep affinity with the for the em dash and a frought relationship with the Oxford comma." Follow Bethany on Twitter. “Social media rewards visual impact and immediacy which serves the world of higher-end streetwear really well,” Tonner said.